In America, about 3,000 people a year are diagnosed with mesothelioma. This cancer may not be one of the most common ones, which means that people may not know how to identify if they have it or not. Mesothelioma goes through four distinct stages of progression. Learn about the stages of mesothelioma and the complete list of mesothelioma symptoms. Mesothelioma is a type of lung cancer. There are even different kinds of mesothelioma, but we will just look at the overview. The tumors start to grow in the lining of the lung or your chest, and they don’t start causing symptoms until the tumors have started to grow even more and spread. The tumors normally don’t start to spread around stage 3 and 4, so it can be difficult to catch it in the early stages. When the tumors start growing, they will push against your lungs and abdomen, making it very painful. Mesothelioma also shares symptoms with other cancers and diseases, so this can make it even harder to catch. Mesothelioma can also take a long time to incubate, sometimes even taking between 10 to 50 years to start showing symptoms and growing. You could be at risk for having it without even knowing it. Unfortunately, there is no cure yet for mesothelioma, and the outlook rarely looks positive. The earlier you catch it the better the outlook is. But there can be different treatments and ways to relieve your symptoms so you won’t be in as much pain. The main cause of mesothelioma is being exposed to and inhaling asbestos fibers. Inhaling these fibers can start to change your DNA which can prompt cancerous growth. This happens because our DNA controls how the cells grow and die, and if the asbestos changes that, it can lead to the cancer cells growing. Anyone can get mesothelioma, but there are certain types of people who are more likely to have been exposed to it. Veterans are at a risk for mesothelioma because the military used to use asbestos between 1940 to 1980. It doesn’t matter which branch the veteran was from, but the navy veterans are most at risk because they used it the most. There are also some other civilian employees, like mechanics, factory and construction workers, and firefighters who could be exposed to asbestos as well. People who work with asbestos are also at risk and can put other people who come into contact with them at risk as well. Sometimes they can bring the asbestos fibers back on their clothes or body, and expose others to it. There are four main stages of mesothelioma. Doctors try and use stages of cancer to figure out a diagnosis and a treatment plan. Your doctor will probably diagnose you when the cancer is in its third or fourth stage. With mesothelioma, the main treatment plan will focus on improving the quality of life and relieving symptoms. Depending on which stage your cancer is in, you may receive different kinds of treatments. But the most common treatment is chemotherapy. If you are diagnosed early enough, you may be able to have surgery to remove the malignant cells. While there is no clear cure, there are new studies and new research being done all of the time. Depending on your different stage of chemotherapy, you may be able to qualify for a new treatment. Stage 1 is the time of the disease when the tumor is still contained in the mesothelial lining. In the beginning, the tumor normally only starts to grow in one area, typically the lung or chest cavity, especially in the first stage. It’s difficult to catch the cancer in this stage because no visible symptoms appear. You have a better chance of treating it if it’s caught early. If your doctor does discover that you have mesothelioma this early on, then they will probably have caught it on an X-ray or other scan. If it is caught in this stage, a treatment plan will normally consist of surgery, radiation, or chemotherapy, or all three. Surgery is normally the first line of defense because doctors want to try and remove it before it spreads. Stage 2 is where the cancer cells start to spread and infect other lymph nodes and organs that are close by. This is where the cells leave the mesothelial lining. However, in this stage, the tumors are still small enough to not cause noticeable symptoms. If they’re caught, they still have a chance to be removed through surgery. There are some symptoms with stage 2, but they can easily be confused for other diseases. For example, it may be difficult to breathe, like it would be if you had a cold or you just finished a really hard workout. Some people may start to feel bloated or even lose weight. You could also experience a dry cough that won’t go away and a slight pain in your chest area. But for the most part, the symptoms will begin to show their face in stage 3. If caught in this stage, it can also be treated with surgery, chemotherapy, and radiation. However, the treatment will be dependent on the patient as everyone and each case is different. Stage 3 is where the symptoms start to appear, and this is where the cancer cells will find their way to organs that are farther away from its origin. Normally in this stage, the cancer has taken over several organs and lymph nodes, damaging them. Some patients will be able to have surgery to remove these cells, but this will depend on how big the tumors are and how far it has spread. Symptoms start to appear in this stage which is where most people will go to a doctor and get a formal diagnosis. If you notice these symptoms and they have no other explanation, you may want to make an appointment with your doctor. In stage 3, a lot of cases are treated mostly with chemotherapy. However, there are some patients who may benefit and qualify for surgery and/or radiation treatment. Many doctors may decide to treat symptoms rather than the cancer to try and improve quality of life and prolong their patient’s life as long as possible. After diagnosed with stage 3 mesothelioma, patients can expect to live for several years after diagnosis. Depending on how treatment goes, some patients even live longer than their doctor initially thought. Stage 4 is the last, most serious stage for mesothelioma. This is the stage where the cells go even further past the abdominal cavity. The cancer cells could infect your brain, liver, bones, or anywhere else in your body; this is what makes it so serious. 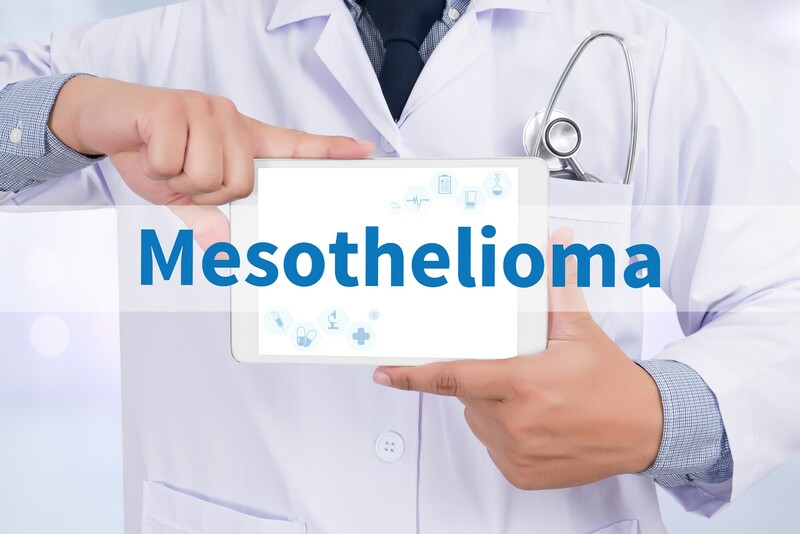 Because there are different types of mesothelioma, you may not experience all of the symptoms that are listed above, but you will most likely experience many of them at once. At this point in the cancer, treatment won’t involve surgery. It is too risky and too far spread at this point. However, small surgeries to help treatment can be helpful in relieving some of the symptoms. Instead, stage 4 is normally treated with chemotherapy, but can also be treated alongside radiation treatment. At this point, doctors will focus more on treating the symptoms instead. If you are diagnosed with stage 4 mesothelioma, most patients live a little over a year. The different treatments can help patients live that long. Without the treatments, the average expectancy is about 4 to 15 months. If you or someone you know are at a risk for this cancer, knowing the mesothelioma symptoms and stages are important to know. If you recognize the symptoms, you may be able to catch it early and treat it. If you were diagnosed with mesothelioma and believe that your job or other company wrongfully exposed you to asbestos fibers, you may want to seek justice and hire a personal injury lawyer. If you want someone who will fight by your side, contact us to set up a consultation.